The Bitcoin Group is a production of blogger and youtuber MadBitcoins. A play off of the popular evening news program The McLaughlin Group this half hour video is streamed live every friday afternoon at about 3 or 4pm PST. 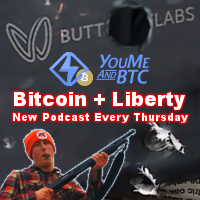 Host Thomas Hunt is joined by 3 panelist discussing current events and news stories in the bitcoin space. 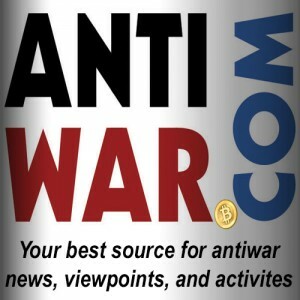 Below is the second episode and features technologist and entrepreneur Andreas M. Antonopoulos, Peace News now host Derrick J. Freeman and BitcoinNotBombs own Davi Barker. The show is not only insightful and full of information but a lot of fun to watch as the host has a style of his own that would even make John McLaughlin smile. Issue 1 – Bitcoin Bubble? - Activist, entrepreneur, freelance Videographer/Editor. Having been involved with a few alternative currency models revolving around silver and gold, it wasn’t hard to see bitcoin’s potential to challenge state run banking. After looking around the bitcoin space for a place to jump in, it made sense to start a coalition of bitcoin users with a Voluntaryist / libertarian perspective. Bitcoin will face many challenges in the next few years if it is to become a successful global currency, and due to the decentralized nature of the bitcoin protocol, it has the potential to overcome the biggest and most violent challenge faced by alternative currencies: the state. I think I’m going to sell all my bitcoins to http://www.btc2cash.net and just wait for the Bubble that you guys talked about to pop. Then after it pops I’ll just buy back in and try and hopefully make a few more coins.